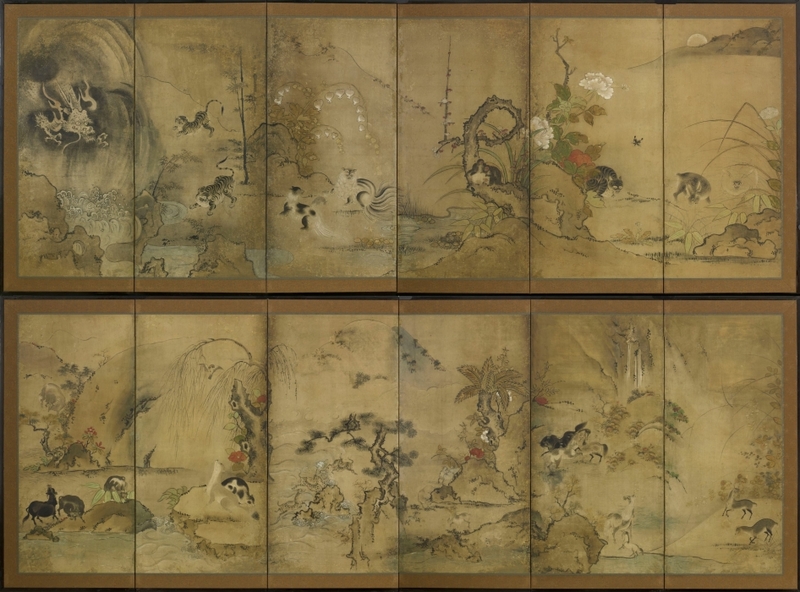 6994 A six-fold paper screen painted in ink and colour on a gold ground with a covey of uzura (quails) and chicks amongst kibi (millet), grasses, nokongiku (aster) and tampopo (dandelion). SKU: 6994. Categories: Screens, Six Fold.